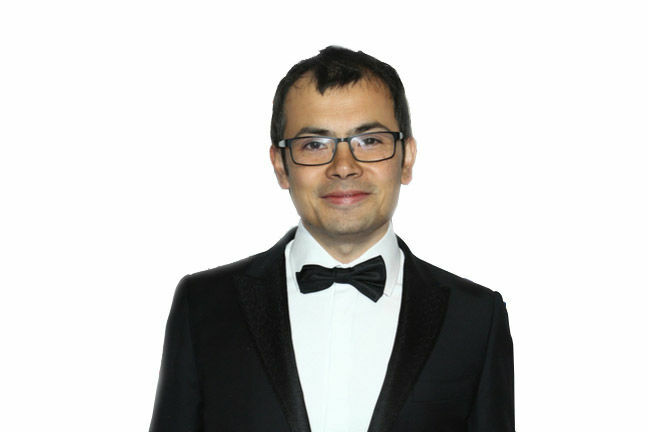 The world of artificial intelligence changed in early 2014 when Google paid £400m for DeepMind Technologies, a company founded by neuroscientist and polymath Demis Hassabis. Since then large numbers of Fortune 500 companies have moved to grab what AI intellectual assets – usually university researchers – they could find. AI came next in a long series of technology booms that included the photonics bubble of the late 1990s through to the computer visualisation and immersion mountains of the early 2000s and the recent frenzy over fintech startups. AI is today's global investment hotspot. Within each of these tech trends the university spinout company has played an important role as technology pioneers, but they also included very many that never became a commercial success. In 2001 University College London produced 4D Trading, whose visualisation of stock prices in real time wowed the market but utterly failed to find a buyer, much to everyone's surprise. AI spinouts in the UK have been equally well received. In June 2016 Twitter bought Imperial College spinout Magic Pony for £102m, and DeepMind bought Oxford University duo Dark Blue Labs and Vision Factory, and went on to assemble 250 of the world's best researchers in London. Despite the headline-grabbing attention, the continuing and most significant facet of these spinouts is how few of them perform well financially. After an initial burst of enthusiasm they limp along from one obscure project to another – and then everyone drifts away to do other things. Back in the mid-1990s US investors put around £25m each into two UK university photonics spinouts – one in Glasgow, the other at Southampton – then a European record for varsity investment. But neither proved a success. Today, Oxford University spinout Mind Foundry has developed machine-learning algorithms it claims could only be solved by teams of data scientists or that are otherwise unsolvable. It has raised £1.2m in seed funding from private investors and investment company Oxford Sciences Innovation to commercialise the technology. Although its software is being used by BAE Systems and Rolls-Royce, it will have to work harder to find that crucial niche and stream of revenue, to make it sustainable long term. Mind Foundry's chief executive David Pool faces a challenge to keep the company relevant. Its most interesting staff member may not be its two founding Oxford professors, Stephen Roberts and Michael Osborne, but the youthful David Zilli, whose keen eye is in spotting applications of AI for the monitoring of animals and insects in the wild. Zilli has been leading the Google-financed HumBug project, alongside researchers at London's Kew Gardens. The objective is to "automate the detection and classification of malarial mosquitoes." A real problem for spinouts has been an excessive focus on the technology and neglect in the search for a solid market and revenue stream. One interesting AI firm with close links to academia that has yet to find a niche is Telectic, founded by AI veteran Jason Kingdon, and backed by a team of experienced programmers and managers. Kingdon also founded the highly successful big data AI analytics pioneer and UCL spinout, Searchspace, in the mid-1990s, and later supported the process automation software company Blue Prism. Telectic claims it can interpret the web using its AI that lets you "build insights" into professional networks for research and business development. That might sound vague, but it was enough for Imperial Innovations Group that led a £1.5m seed funding into Telectic. Its AI can, according to Kingdon, "interpret the web around real-world entities, their attributes and connections. Adding a semantic layer to the web, Telectic finds and interprets content from multiple sources, automatically curates the important facts and monitors the changes that impact the tracked entities." Commercially, however, the company is struggling to find its niche as few potential client firms can, in turn, pinpoint a profitable application within their business operations. Yet when an AI firm can pinpoint its real-world need, the returns can be both rapid and bountiful. One little-known AI spinout, biotech data firm Exscientia, has focused its brainpower on the rapid identification of key molecules that are compatible with drug targets. The search for the right molecule costs the pharma industry an inordinate amount of money. "Telescoping" that process could create a bonanza for Exscientia, which claims to learn best practice from "vast repositories" of discovery data. The company spun out from the University of Dundee's School of Life Sciences and its chief chemist is Andy Bell, co-inventor of two drugs including sildinafil – Viagra to you and me – that have generated sales of $40bn. In just two months this year, Exscientia signed key deals with French pharma firm Sanofi, and then Glaxo. The spinout says it will apply its AI design expertise to identify biospecific-small-molecule compounds that may develop into full products for Sanofi. The total amount potentially payable by Sanofi to Exscientia on achieving these milestones is £270m. Some 5 per cent of Exscientia is owned by Frontier IP Group. Similarly, when that real-world need is a relatively narrow one, market interest can follow swiftly. While technical progress in the traditional insurance industry is usually achingly slow, a London startup named QuanTemplate has caused a stir. While not a true university spinout, QuanTemplate helps reinsurers perform complex analytics. CEO Adrian Rands co-founded QuanTemplate with Marek Nelken in 2012, having spent most of his career as a Lloyd's reinsurance broker. At Oxford, Marek specialised in artificial intelligence and aeronautics. This later developed into a "rare and sincere passion" for high-performance databases. Another "non-spinout" that could serve as a beacon for those emerging from the academic word is Fortytwo Data, a firm with an eye on a key City problem – money laundering compliance that it claims will cost £6.4bn in 2017. It claims it can reduce false positives in money laundering detection by half. Luca Primerano, head of strategy at Fortytwo Data, said: "That's a colossal amount of time and money that is being wasted chasing ghosts. These advances in regtech represent an opportunity for companies to help reduce the ability of criminals to exploit financial networks for money laundering and terrorist financing around the globe. Machine learning has the potential not only to deliver justice, but a multibillion-pound refund for firms every year." Not far away from Fortytwo Data's offices lies Calipsa. Started by co-founders Mohammad Khan and Boris Ploix, it was the star exhibitor at the security technology show IFSEC in July 2017. Its big claim is that it can bring an end to manually viewing huge quantities of video data. While not a university spinout, Calipsa has recruited an expert team from major establishments – Cambridge, Imperial College London and UCL. With them, Calipsa claims to have created algorithms that can process and analyse hours of video feeds to provide real-time alerts and detailed reports for applications, including traffic enforcement, road accidents, public disorder and monitoring of critical infrastructure projects. Some 53 per cent of the UK Police Scientific and Development Branch (PSDB) have found that human operators viewing one, four, six and nine monitors show accuracy detection scores of 85, 74, 58 and 53 per cent respectively, in picking up one person with an umbrella. Calipsa believes that AI monitoring can replace or supplement this human activity far more efficiently, and says there are now 250 million CCTV cameras worldwide. Many are aspiring to AI, but before you reach that stage there's machine learning and some deep and conceptual thinking that must be undertaken. The talent that's been bubbling up across the British academic pool should come as little surprise – nor in the level of interest it's receiving. Acquisition, by Google, DeepMind and others, is one half of the magic VC matrix – providing the sought-after "exit" sought by many US startups, IPO being the other. The reality for many, though, is success comes not in a flash but by marrying an idea to a successful market.